This gyaan by Shah Rukh Khan in the movie ‘Dear Zindagi’ is quite justified, we should always be sure and find options before choosing a right life partner. Bollywood celebrities have always been the spotlight for the media. There is nothing personal out here. From spouses to splits, everything about the Bollywood celebs is a news headline for the media. One of the star kids who had been a part of controversies and link ups is Riya Sen. She belongs to a star family, with her mother being a famous Bengali actress Moon Moon Sen and the granddaughter of the legendary Indian actress Suchitra Sen. In spite of having such a great lineage, Riya is famous for her off-screen episodes rather than her on-screen persona. If you are confused what I am talking about, let me bring you the tale of her notorious love affairs. KABUL (Reuters) The Taliban told U.S. President Donald Trump in an open letter on Tuesday that the military situation in Afghanistan was “far worse than you realize”, and sending in more troops would be self-destructive. “Previous experiences have shown that sending more troops to Afghanistan will not result in anything other than further destruction of American military and economical might,” the Taliban said in the lengthy English-language letter. The senior U.S. commander in Afghanistan, General John Nicholson, has requested several thousand additional troops to act as advisers to the struggling Afghan security forces. Influential voices including Republican Senator John McCain have also urged an “enduring” U.S. military presence in Afghanistan. But such plans have faced scepticism in the White House, where Trump and several top aides have criticized years of American military intervention and foreign aid. On my visit to Pakistan for the first time ever, I distinctly remember the day I was crossing the Wagah border from India, listening to a song by Noori while my heart was beating fast – not out of fear, but in anticipation since I had been waiting for this day for a long time. I was first introduced to the country by my Pakistani roommates many years ago when I was 18 and living in London. Their stories had piqued my interest right away. Finally, after all this time, I got the chance to come to Pakistan. It took me two months to plan my trip and included many nights of researching what to do and where to go. 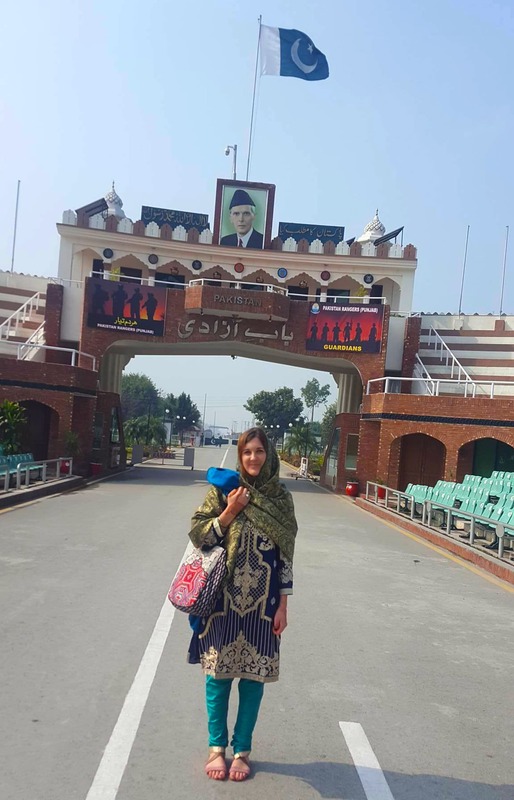 When I arrived at the crossing, border officials welcomed me with a lot of curiosity and immediately began asking me questions about where I was from, if I was travelling alone, if this was my first time in Pakistan and what the purpose of my visit was. I answered them gladly with as much detail as I possibly could. There were smiles all around me when I said this. With so many happy faces, I could have stayed at the border chatting for ages with the friendly staff. But since I thought my friends would be anxiously waiting outside for me, I didn’t stay for too long. After a few more questions, smiles and many shukrias, I was finally on the other side. Pak-is-tan. I think I had to pinch myself a few times to realise that I was standing on Pakistani soil. I sat on a bench next to a few old men while waiting for my friends to arrive. They looked at me, smiled and asked where I was from. I decided to introduce myself in Urdu and tried to speak the few words I had learnt on my own. I struggled, but they appreciated it so much. At that point, I knew that I’d be spending a fun-filled week with unforgettable experiences. The moment when I crossed the border. I had my first cup of chai in Pakistan – another thing off my bucket list – with them. A little while later, my lovely friends Faizan, Shah, and Lizzy came to pick me up in their shiny new car. I had met them online and this was the first time we were seeing each other in person. I was amazed at their kindness that they came all the way to pick me up. I said salam alaikum to them, khuda hafiz to the gentlemen whom I was having chai with, and I set off to discover Pakistan. Coke Studio songs were blaring in the car as a perfect auditory introduction to the country. I looked out the window, soaking up the vibes I was getting from the city, especially Lahore’s canals and the lush green trees along them. My friends are devoted bikers and own Karakoram Bikers, a company that arranges adventure tours on motorbikes around Pakistan. When they asked me if I wanted to explore Old Lahore on bike, I didn’t hesitate to say ‘yes’ even for a second. We set off on our bikes at full speed that same evening toward the chaotic but amazing androon Lahore. As I was holding onto my friend on the bike, with the fresh breeze against my face and a new landscape around me, I felt a deep sense of joy and liberty. Wazir Khan mosque was the first mosque I ever visited. Not bad for a first! 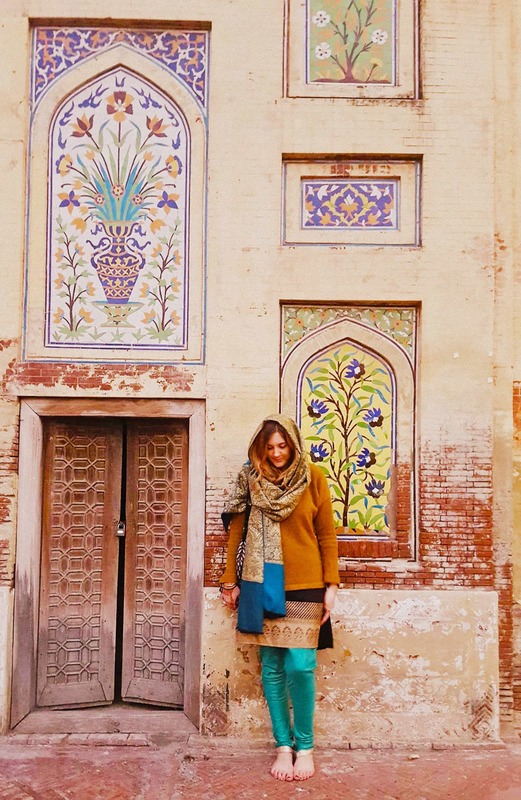 I loved the colourful tiles at the Wazir Khan mosque. First, we stopped at the Wazir Khan mosque, which I found breathtakingly beautiful. It was my first time to visit a mosque. Back in France, there aren’t any mosques where I live. The perception of Islam in my country is rather negative, but when I went inside the Wazir Khan mosque, I felt at peace. I am an anxious person and stress out easily, but all those feelings disappeared in that moment. I understood why Muslims go to mosques; it’s a place where you can escape all your troubles. 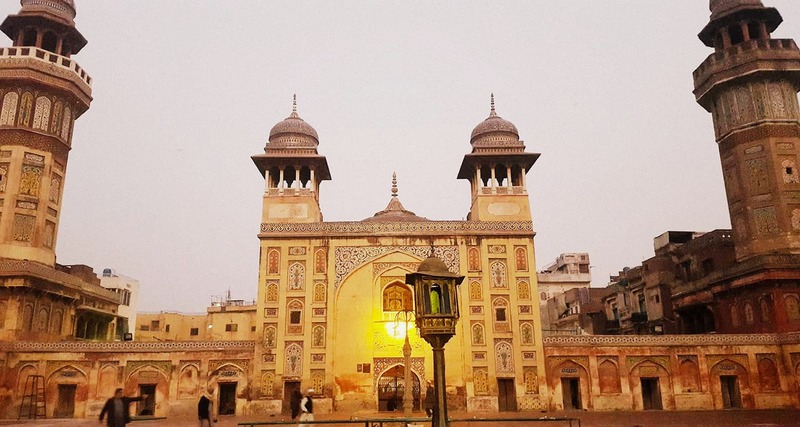 Wazir Khan mosque will remain my favourite place in Lahore. We ended the day with a stop at Pak Café, where we had chai (obviously!) and chatted away. A young lady sitting next to us turned around and asked if I was French (is my accent that obvious?). I responded to her in Urdu, which made her even more curious, and I was in for another set of endless questions! Over the next few days, I had the chance to explore more of Lahore with another friend, Ahmed, whom I had also met online. 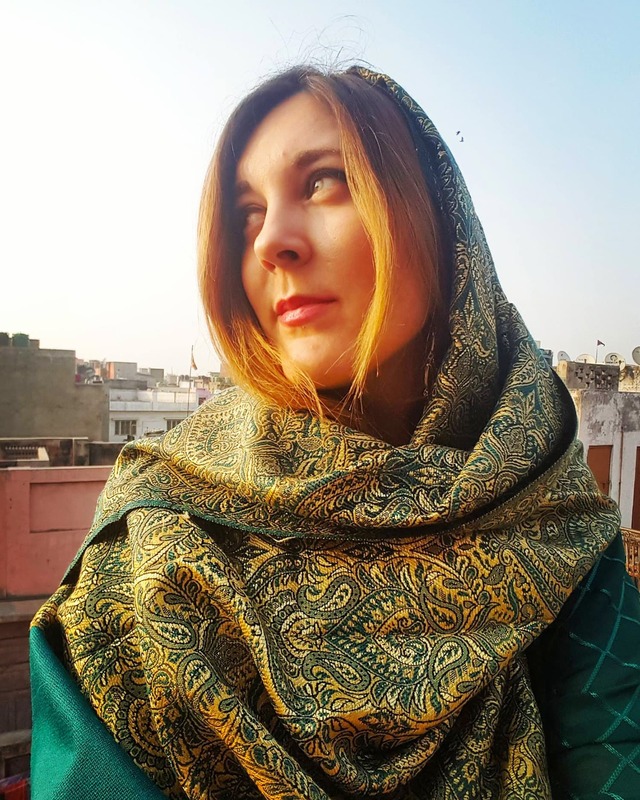 While I was doing my research on Pakistan, I posted a question on Quora: “Is it safe for a 24 year-old girl to travel alone in Pakistan?” Ahmed was the first one to respond and since then, we kept in touch everyday until I arrived in Lahore. I took a taxi from Chandigarh to go to Wagah. I felt a little scared, but Ahmed kept in touch throughout. He is one of the best Pakistani men I have ever met! I also met his family and they are all lovely. I hope to be able to host him in Europe when he comes. He took me to his alma mater, LUMS. The red bricks of the buildings reminded me of England and the campus didn’t look very different from my university in Cardiff. I also saw a few foreign students and I could imagine myself studying there. An adorable girl I saw at the mosque even agreed to take a picture with me! 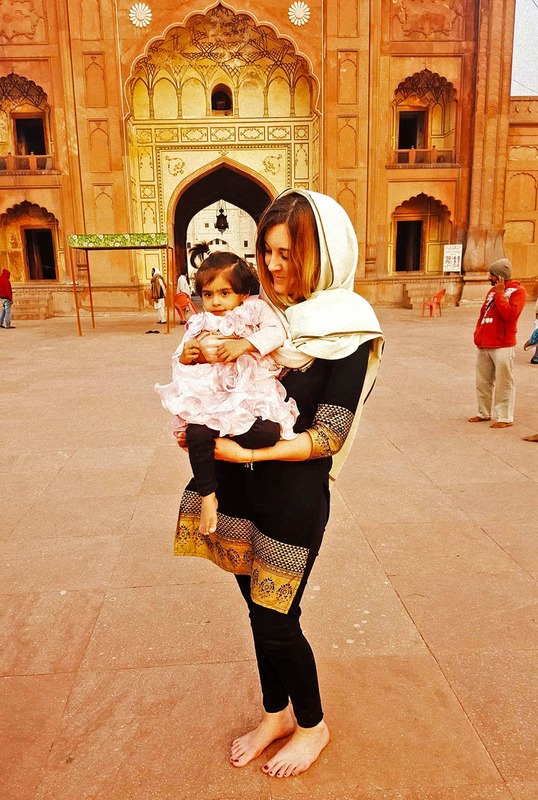 Who does’t want a photo with the majestic Badshahi mosque in the background? 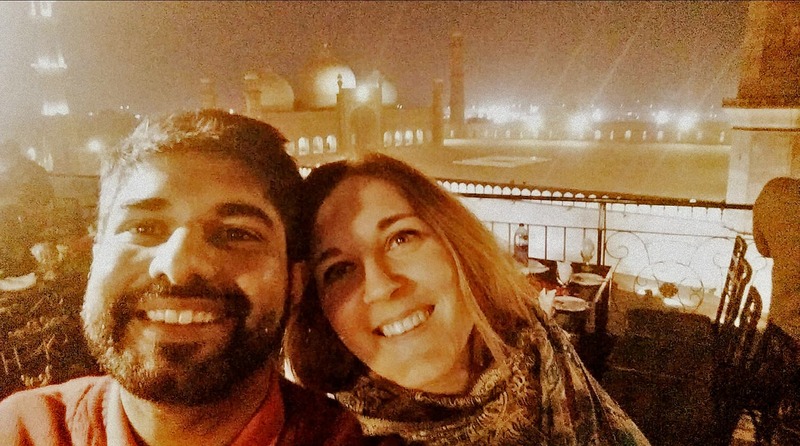 We then headed to the food street and sat at a restaurant overlooking the beautiful Badshahi mosque. I tried paratha, daal, and mutton, which was tender and cooked to perfection. I also had Nutella naan for dessert, which was amazing! Pakistani food in the UK is decent but it’s nothing compared to what I tasted here. I expected it to be spicy, but to my relief it was rather tolerable. As we were having food and were immersed in conversation, a singer at the restaurant asked Ahmed if he had any song requests. Since Ahmed knew I was obsessed with Jal, he asked for one of the band’s songs. It was another unforgettable moment. It was time to say khuda hafiz to the City of Gardens. Next stop: Islamabad. My university friend Sam came to pick me up from Ahmed’s place in his car. I couldn’t wait for the drive to Islamabad since I remember my roommates telling me how beautiful the route was. Faisal mosque is completely different than the other two mosques I visited. As we made our way to the capital, it was the perfect time as the sun was setting and I could see the untouched landscapes. The land was mainly flat until we reached the hills a little before Islamabad. It was a beautiful sight, with the city lights in the distance as we slowly reached our destination. What was soothing was the sufi songs playing in the car. My interest in sufism sparked a few years ago when my friends introduced me to it. I started listening to sufi music everyday, especially Rahat Fateh Ali Khan. When I was coming to Pakistan, I brought along a few Rumi books. Sufism, in both its poetic and musical expressions, makes me feel connected to the country. The following day, I organised a little surprise for my friend and took him horse riding in the outskirts of the city, close to Margalla Town and Orchard Scheme, at the Orrick Horseback Riding Islamabad, which I had discovered online. The sun was shining, the weather was cool, and we could hear the call for Friday prayers in the distance, which made it even more mystic. We became friends with the owner of the club, Orrick, a friendly Canadian expat who has been living in Islamabad since many years. We also met her lovely husband. 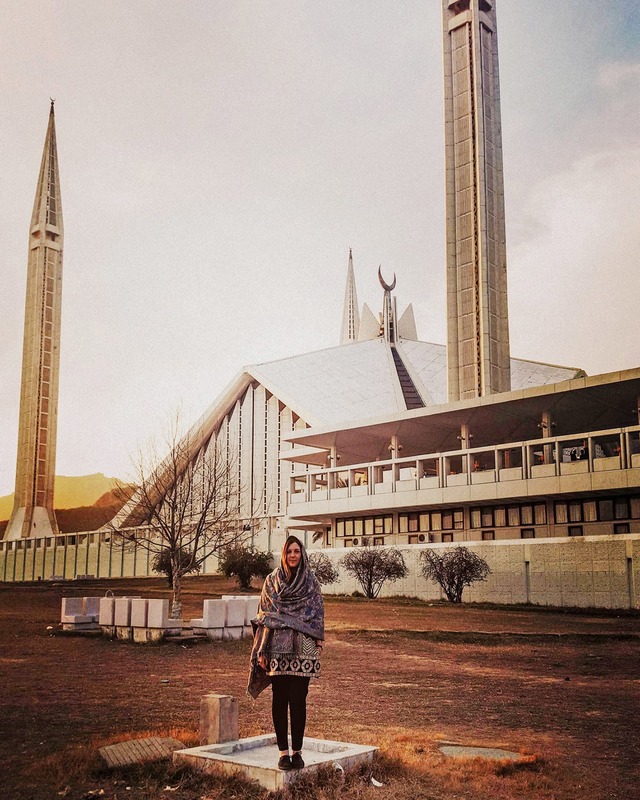 I stayed in Islamabad for a few more days, during which I had the chance to try out some more food by the Margalla hills and enjoy a nice walk by the Faisal Mosque, before heading back to England where I live. 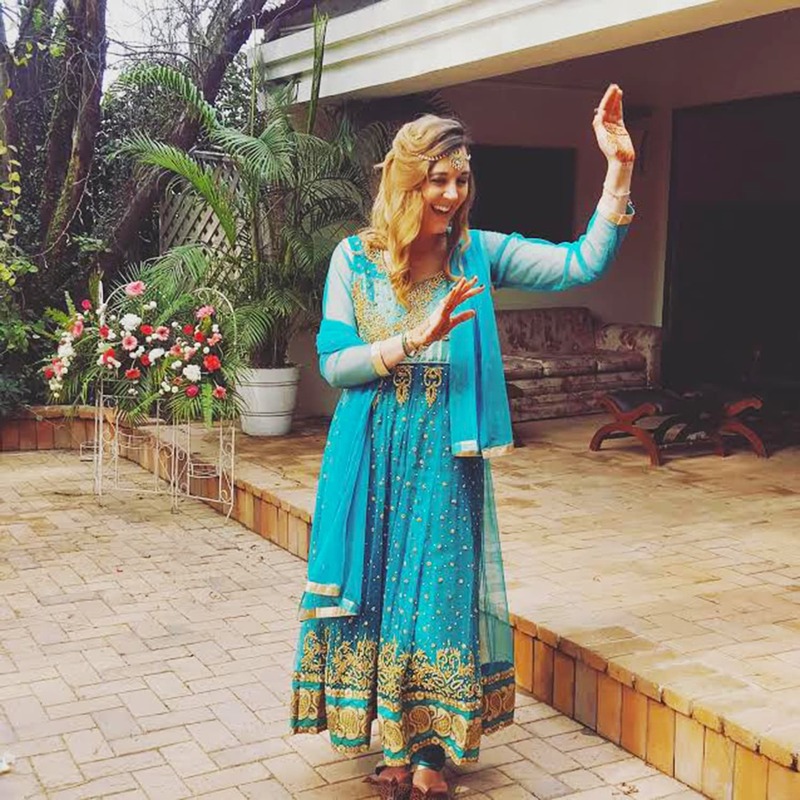 I loved all the colourful, traditional outfits and couldn’t help but wear one myself! Trying to blend in as much as possible! I am obsessed with shawls. I really wish everyone has a chance to visit Pakistan. When I was doing my research before coming, all I came across was news about bombings, kidnappings, and how the country was not safe for foreigners, especially women travelling alone. But I knew that this was not an accurate picture. 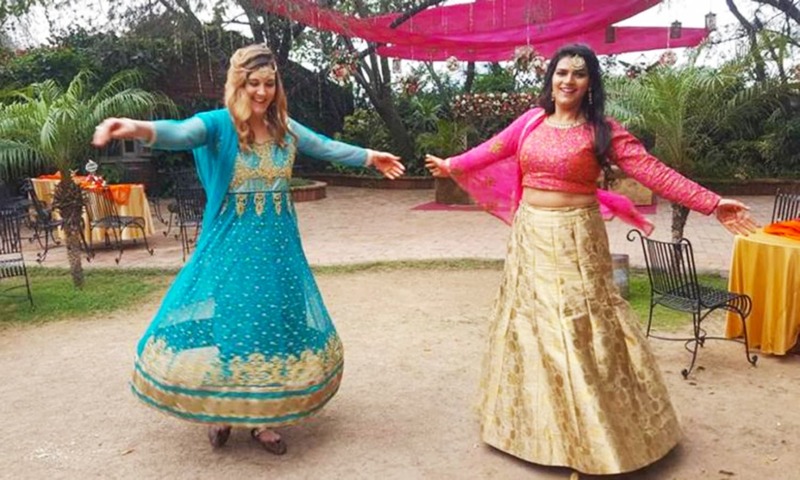 In my time spent in Pakistan, all I saw was amazing hospitality, landscape, food, music, and the most welcoming people. Everyone was kind and loving, and they would do everything to make you feel at home. I haven’t come across such generosity anywhere else in the world (and I have travelled quite a bit). I encourage you to go and discover Pakistan. I guarantee that you won’t be disappointed by the experience. It is a well-renowned fact about mutual admiration MS Dhoni and Shah Rukh Khan have towards each other even though they are part of different franchises in the IPL. Mahendra Singh Dhoni had been a lynchpin for the Chennai SuperKings over the years while Shah Rukh Khan has been the face of the Kolkata Knight Riders. “Yaar main toh usko apna Pyjama bech ke bhi kharid lun, wo Aaye toh auction mein” said the Baadshah of Bollywood in Hindi which can be translated into “I am ready to purchase Dhoni even if it means selling off my pyjama, but he never appears under the hammer in IPL auctions.” according to Sportswallah. He further expressed his disappointment for not being able to attend all the matches in the IPL featuring the Knight Riders, due to his hectic work schedule. “I want to attend the majority of them but unfortunately due to the work schedule I missed many of them last year, However, this year InshaAllah the movie with Imtiaz (Ali) would be in post-production by the time IPL starts, so I might attend more games,” commented Shah Rukh. Yesterday, the CEO of Kolkata Knight Riders, Venky Mysore, expressed his disappointments for the absence of the King of Bollywood at Eden Gardens. KKR steamrolled the RCB batsmen as they won the match by a huge margin of 82 runs. Given that MS Dhoni’s contract with the Rising Pune Supergiant would dissolve next year, the former Indian captain would be ready to go under the hammer yet again in next year’s IPL auction. However, it would be interesting to watch the bid wars between Chennai Super Kings and Knight Riders for the services of the 35-year old. Centrist Emmanuel Macron and far-right leader Marine Le Pen will contest the second round of the French presidential election, initial projections suggested Sunday, after a nail-biting vote seen as vital for the future of the EU. Macron was projected to win between 23 and 24 percent in Sunday’s first round, slightly ahead of National Front leader Le Pen with between 21.6 and 23 percent, according to estimates on public television. The outcome capped an extraordinary few months for a deeply divided France, which saw a campaign full of twists and turns and a movement away from traditional parties. Le Pen and Macron were the pre-vote favourites to progress to the run-off on May 7 but late gains by conservative Francois Fillon and radical leftist Jean-Luc Melenchon had blown the race wide open. The vote took place under heavy security after the killing on Thursday of a policeman on Paris’s Champs Elysees avenue claimed by the Islamic State group. North Korea said on Sunday it was ready to sink a US aircraft carrier to demonstrate its military might, as two Japanese navy ships joined a US carrier group for exercises in the western Pacific. US President Donald Trump ordered the USS Carl Vinson carrier strike group to sail to waters off the Korean peninsula in response to rising tension over the North’s nuclear and missile tests, and its threats to attack the United States and its Asian allies. The United States has not specified where the carrier strike group is as it approaches the area. US Vice President Mike Pence said on Saturday it would arrive “within days” but gave no other details. North Korea remained defiant. Adding to the tensions, North Korea detained a Korean-American man in his fifties, bringing the total number of US citizens held by Pyongyang to three. The man, Tony Kim, had been in North Korea for a month teaching accounting at the Pyongyang University of Science and Technology (PUST), the institution’s chancellor Chan-Mo Park told Reuters. He was arrested at Pyongyang International Airport on his way out of the country. The arrest took place on Saturday morning local time, the university said in a statement, and was “related to an investigation into matters that are not connected in any way to PUST”. It has also carried out a series of ballistic missile tests in defiance of United Nations sanctions. North Korea’s growing nuclear and missile threat is perhaps the most serious security challenge confronting Trump. US Defense Secretary Jim Mattis said on Friday North Korea’s recent statements were provocative but had proven to be hollow in the past and should not be trusted. The two Japanese warships, the Samidare and Ashigara, left western Japan on Friday to join the Carl Vinson and will “practice a variety of tactics” with the U.S. strike group, the Japan Maritime Self Defence Force said in a statement. China, North Korea’s sole major ally, opposes Pyongyang’s weapons programmes and has appealed for calm. The United States has called on China to do more to help defuse the tension. Last Thursday, Trump praised Chinese efforts to rein in “the menace of North Korea”, after North Korean state media warned the United States of a “super-mighty pre-emptive strike”. North Korea’s neighbours continued to amass substantial amounts of military hardware in the region on Friday as tensions escalated ahead of a major military anniversary for Kim Jong-un’s regime next week. There were reports of increased activity from Chinese bombers and Russia deploying troops to its Far East while South Korea was put on heightened alert ahead of 85th anniversary of the foundation of its Korean People’s Army on Tuesday. With regional analysts fearing that the North’s defiant young dictator will order another missile or nuclear test to mark the occasion, South Korea announced it was placing its forces in a state of heightened alert. The build-up of tension come as a US aircraft carrier navy group continued to move towards Korean waters, amid reports that the heads of the Five Eyes intelligence agencies – the US, UK, Austrialia, Canada and New Zealand – were to hold their annual meeting in a secluded New Zealand mountain resort. US officials said Chinese bombers had been put on “high alert” in order to react to a potential crisis on the Korean peninsula, several reports said. The steps would bring the aircraft up to “full readiness through intensified maintenance,” and would “reduce the time to react to a North Korea contingency,” reported CNN, citing a US defence official. It comes after US president Donald Trump cryptically told the media on Thursday that “some very unusual moves have been made over the last two or three hours” by the Chinese. 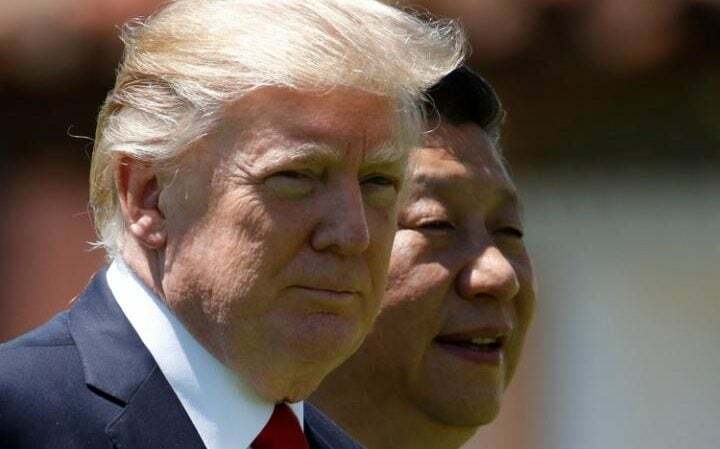 Mr Trump also said he was confident Chinese President Xi Jinping would “try very hard” to pressure North Korea over its nuclear and missile programmes. Observers believe Mr Trump’s confrontational stance towards North Korea is aimed at pressuring China into reining in its wayward neighbour. Chinese media has suggested in recent weeks that Beijing could halt the supply of crude oil to North Korea, a move that would put huge pressure on Kim’s regime. But an influential Chinese newspaper said on Friday that China cannot force North Korea to give up its weapons without help from other nations. Fears are growing in the region that any provocation from Pyongyang could prompt a strong response from Mr Trump, whose administration has declared on multiple occasions that the era of “strategic patience” was over. The Kremlin refused to discuss reports that Russian military hardware and troops were being moved towards the border with North Korea. Residents and local media in Russia’s Far East reported large military convoys travelling in the direction of the North Korean border since the weekend. A video published by local news site DVHab.ru showed a train carrying twelve tracked vehicles, including Tor surface to air missile systems, travelling through Khabarovsk in the direction of Vladivostok. Earlier reports in South Korean media that China had sent 150,000 troops to its border with North Korea were dismissed by Beijing last wee. Beijing fears any potential conflict in the region would result in pro-US troops on its border, and also cause a huge refugee crisis in its north-east. South Korean officials said it was prepared if Pyongyang provoked hostilities amid the escalating tensions. “It is a situation where a lot of exercise equipment is amassed in North Korea and also a lot of strategic assets are situated on the Korean peninsula because of the South Korea-US military drills,” said a spokesman in Seoul. While not formally denying its involvement in drafting the resolution, the Foreign Office stressed “the resolution was proposed and drafted by the Egyptian delegation”, adding that the UK, as one of the five permanent members of the security council, “engaged with” the text “as we do with all security council texts”. At the time, this put the UK on a collision course with Israel and raised the spectre of a disagreement on Israel and Palestine with the incoming Trump administration. In what seems to be a re-orientation of its policy on Palestine and Israel, the UK then refused to send a high-level delegation to the Middle East peace conference organised by France just five days before Trump took over as US president. The UK was the only major stakeholder in the conflict to send a low-level delegation while 36 foreign ministers as well as the US Secretary of State were in attendance. The attendees saw the conference as an opportunity to restate the international community’s commitment to a two-state solution and to express opposition to a move of embassies from Tel Aviv to Jerusalem. The UK’s position on the Paris conference was a sign of departure from longstanding positions allied to those of the EU to ones that seemed to be looking across the Atlantic to the future Trump administration. If further confirmation of the shift of UK policy was needed, then this came at the United Nations Human Rights Council (UNHRC) 34th session. The UK’s stance surprised most commentators as it changed its voting policy under item seven on the agenda which requires that Israel’s human rights record be discussed and scrutinised three times each year. The UK would claim that its position has not changed. That it is still for a negotiated settlement based on the two-state solution, which was reiterated by Foreign Secretary Boris Johnson on his most recent trip to Israel and the Occupied Palestinian territories. “Israel has first and foremost an absolute right to live in security, and the people of Israel deserve to be safe from terrorism,” Johnson said, stressing Britain’s “rock-like” support of the country. But he later added: “Of course we must also try to remove obstacles to peace and progress such as the settlements”. However, Britain’s most recent positions outlined earlier indicate a change of policy which seems to be moving away from the EU’s position to one more closely aligned with the Trump administration. That should be very worrying to Palestinians as the US government is taking an unashamedly pro-Israel line, arguing Israel has been “treated unfairly”, that the settlements are merely “unhelpful” rather than illegal and that it should be left to the two sides to come up with a solution, ignoring the asymmetry of the situation. There is no acknowledgement of the history of the conflict and the injustice that befell the Palestinians through the creation of Israel or its continued serial violations of international law, international humanitarian law or even its immediate refusal to adhere to UNSC Resolution 2334 amongst tens of resolutions it has defied. There is no room for any criticism of Israel in Trump’s world. As the UK seeks trade deals following Brexit, it is looking at the US and Israel as two close allies who might deliver deals quickly after exiting the EU. The powerful pro-Israel lobbies in the US and the UK will bring pressure to bear on the UK to side with Israel rather than with the weak Palestinians. It will celebrate Balfour’s centenary, or “mark it with pride” as the prime minister characterised it, with complete insensitivity to the Palestinians and their plight. In light of this, it is clear that the UK’s policy is moving towards greater protection of Israel while it abandons the Palestinians, just as it did in 1948. Pyongyang tells Washington its nuclear weapons are ‘not an illusion’ following US threats. 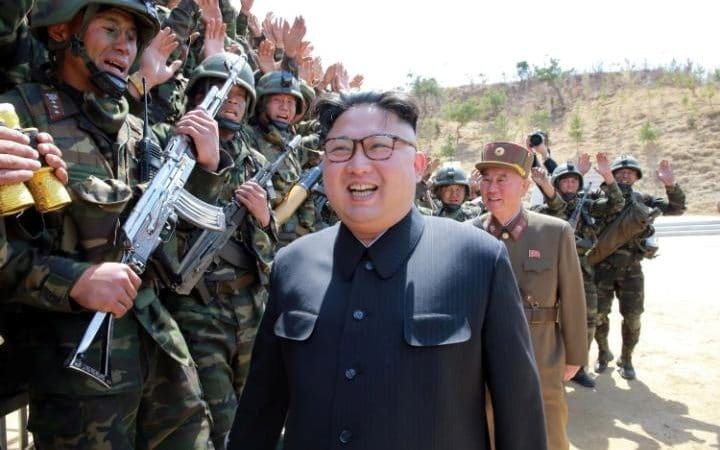 North Korea has warned its army is on “maximum alert” after the US vice president visited the heavily militarised border between the two Koreas and reiterated Washington’s position that “all options are on the table” in dealing with Pyongyang. Sin Hong-chol, North Korea’s deputy foreign minister, told Al Jazeera in an exclusive interview on Monday that Donald Trump’s administration “should look at the world with open eyes”. “The time of dictating orders by brandishing the US military might has gone. If those businessmen in power in the US thought of intimidating us by any military or sanction threats – as the [Barack] Obama administration used to do and failed – they will soon find out such threats are useless,” Sin said. Sin also said the six-nation talks aiming to make the Korean peninsula free of nuclear weapons were “throttled at birth”. “The nuclear weapon in our possession is not illusion; it is not a commodity that may be traded for American dollars – nor is it for sale. So it cannot be put on the negotiating table with the aim to rip it off,” he said. Tensions between Pyongyang and Washington have soared in recent weeks, as a series of North Korean missile tests have wrought ever-more bellicose warnings from Donald Trump‘s administration. On Monday, US Vice President Mike Pence – visiting the world’s most heavily militarised border that divides the two Koreas – hinted military options against the North have not been ruled out. “The people of North Korea, the military of North Korea should not mistake the resolve of the United States of America to stand with our allies,” Pence said, adding “the era of strategic patience is over”. “All options are on the table as we continue to stand shoulder to shoulder with the people of South Korea,” he said from the village of Panmunjom, inside the Demilitarised Zone (DMZ). On Sunday, Pyongyang conducted its latest missile test, which the US and South Korea said crashed in failure after only a few seconds upon launch. The Trump administration has indicated it will not allow North Korea to develop an intercontinental ballistic missile capable of delivering a nuclear warhead to the western United States. Pyongyang insists it needs a powerful arsenal – including atomic weapons – to protect itself from what it says is the ever-present threat of invasion by hostile US forces. Speaking to Al Jazeera from Seoul, Korea specialist and author Donald Kirk noted the rhetoric between the rivals continues to escalate and a “violent confrontation” was a real possibility. “Certainly the tension level is very high. Vice President Pence talked very tough today… He left open the possibility of a pre-emptive strike,” said Kirk. Tensions between Pyongyang and Washington go back to the 1950-53 Korean War, which ended in an armistice, not a peace treaty. But the heat has been rising rapidly since Trump took office in January. The USS Carl Vinson aircraft carrier has been diverted back to the waters off the Korean peninsula after heading for Australia , and US satellite imagery suggests the North could conduct another underground nuclear test at any time.